Important questions that your freight broker will ask you. Selecting the right freight broker to entrust the movement of your goods with is pertinent if you are to have a pleasant shipping experience. As such, going for the right freight broker is just as important as choosing your lawyer or an accountant for your business. A freight broker, particularly a reliable one, is tasked with the responsibility of meeting all your logistics needs. Of course, there are some fly by night freight forwarders and freight brokers that make grand promises but never live up to them. Such operators may even offer you unrealistic prices only to disappoint you in the end. To avoid this from occurring, finding the right freight forwarding company, as well as proper planning and preparation, are not only key but critical for protecting your goods. Complicated issues and question are not unheard of in the supply chain industry. When you first start looking for a reliable freight forwarding company, any dependable freight broker that you encounter should ask you a series of questions that can help to shed a light on the type of service that you need. These questions weigh heavily on the supply chain and giving the wrong answers can lead to complications. 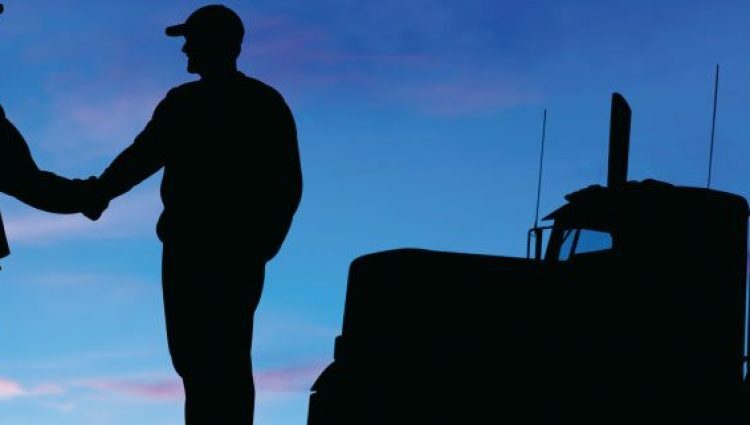 Which questions should your freight broker should ask you? Where are the products coming from and which port do you want them delivered to? Typically, the product will be picked from the manufacturer or the supplier’s address or factory door. If your goods are arriving from a private residential address, be sure to let your freight broker know to avoid impediments ahead. While it may sound obvious, you must also be as specific and as accurate as possible when giving the details of your preferred destination port. This means that you should not misspell anything; if you are not sure about any spelling, make sure that you clarify with your freight broker. Is what you are shipping perishable or non-perishable? When it comes to importing and exporting commodities, there is a huge difference between shipping a car from Japan to Kenya and shipping a crate of bananas. A trustworthy and reliable freight forwarding company that has years of experience should know exactly what they are shipping, the point of destination, as well as the point of origin of any commodity. Will your shipment need an import or export license? All individuals or businesses that require shipping products or sending goods internationally should have an importing or exporting license. Import and export permits are instituted to place restrictions on certain items such as firearms. You must determine whether the country that you wish to import/export from or to requires a permit for your product. It is the freight forwarder’s responsibility to comply with governmental regulations that apply to different countries. To prevent your goods from being held back, you should ask your freight broker or supplier at the very beginning of the process whether you need an import/export permit or not. If you fail to get the right permit, you may not be able to bring your goods into the country, and you will, therefore, suffer the consequences. What are the net and gross weights of your product? The net weight of your product refers to the weight of whatever product you are planning on shipping. Most online retailers provide the net weight on the product description so that you can make the right shipping calculations. The gross weight of your product, on the other hand, refers to the weight of your item plus the weight of the carton and any protective shipping material that may be used. Do you know you product commodity number? A commodity number is also sometimes known as a schedule B product description or HS, and it allows customs officials to classify the goods that you are shipping easily. Commodity numbers or codes are important because they represent the main classifier in international trade or shipping, which basically means that they determine the customs duties, the rules and restrictions of importing/exporting, as well as all documentation requirements. To ensure that the procedures for shipping are as uniform as possible, everything that is shipped from cars and machinery to textiles and pharmaceutical is assigned a commodity code. It is critical to be as specific as possible when giving a freight broker your product classification. Misclassification of commodity codes can have dire consequences such as the loss of special custom privileges or underpaying or overpaying taxes. Finding the correct HS code is the beginning of classifying your product so that you can get it ready for shipping. If you are unable to find the right HS code, your freight broker should have the ability to calculate an accurate shipping quote or price based on the product description that you provide. If your product is a standard export but you are sending it to a whole new market, your freight broker should take your commodity number and assign it the suitable tariff number. The tariff number that you are provided with will be listed and categorized as the industry shipping standard for all other exports of that product to your new location. Every time you need to export that product to that new market, you must use the tariff number assigned by your freight broker to make sure that you pay the same rate as before. Are you shipping by air, sea or road? The type of service that you select will make a huge impact on the delivery time of your goods. Obviously, if you are transporting perishable goods such as shipping fresh flowers from Kenya to Dubai, you would probably need to use air freight. In any case, the type of service that you select will be based purely on your needs and budget restrictions. If you are moving perishable food items, you will also need to know your expiry date beforehand to avoid any losses. What quantity/ what number of cartons do you plan to ship? When shipping anything, you will need to have a firm understanding of the number of items that you plan to ship. If you are shipping cartons, you need to know the number of cartons that you are planning to move, as well as the sizes of each of the cartons. Remember to notify your freight broker if you are dealing with cartons of varying sizes. The size of the cartons must be determined both linear dimensions (height, length, and width) as well as in cubic meters. Would you prefer to have your cartons stacked on pallets? If you want your cartons to be stacked on pallets, you might also need to determine how many cartons will be loaded on every pallet. An experienced freight broker should be able to estimate or GUESStimate how much space you will require, calculate the total weight and volume and give you the right answers accordingly. Should you use a container instead? Full loads of cargo are commonly known as containers in the shipping world. Once your freight broker calculates your total weight, he or she should be able to notify you if your goods will fill a container or not. If your commodities can fill an entire container, then you might be at an advantage because your items will be the only ones loaded onto that container and a seal will ensure that your goods are safe throughout. Containers are usually much better alternatives because you will not be forced to consolidate all your items in another business or person’s container, which eliminates the possibility of tampering. What will your freight broker do after? Once you have answered all the above questions properly, your freight broker should be able to get back to you with a freight quote within a few hours. Be sure to ask your freight broker or freight forwarding company how they settled on the price that they will provide you. If you do not understand anything, be sure to ask. Need an accurate quote for shipping your goods? Reach out to us today for a detailed analysis of our rates. Freight forwarder and a customs broker: are there any differences?